"When narrative savvy and re-imaginative élan coalesce, magic often happens. Such is the case with Steven Taetz. Don’t let the Toronto-based singer’s baby face fool you. He can be as sophisticated as Cole Porter, as sly as Blossom Dearie. Working with a who’s who of Canadian players...Taetz serves up a heady cocktail of 10 covers and originals." "There are great vocalists, from Sinatra to Bublé, who effortlessly straddle the border between jazz and pop; there are plenty of great songwriters; and the annals of great interpreters stretches from Bing and Billie to Dee Dee and Diana. But Steven Taetz is one of a rare breed, seamlessly succeeding across all three. Whether tender and romantic or sharp and sassy, he is a unique, arresting talent, blending the charismatic charm of Harry Connick Jr. with the mischievous postmillennial élan of Jamie Cullum." "Toronto-based artist Steven Taetz has reinvented himself on his second album Drink You In. 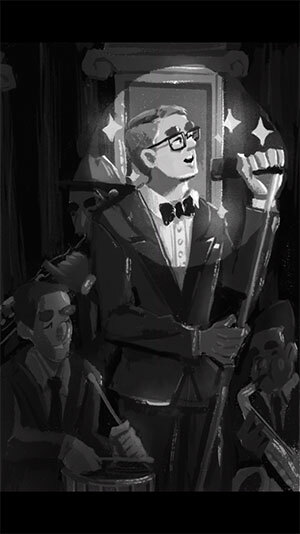 He’s foregone pop for a swinging jazz sound that echoes Michael Buble and, stretching further back, Frank Sinatra. Drink You In is fizzy, pretty and romantic. Combining six originals that sound like they arrived from a more sedate era, with a bunch of old-time standards, our cool crooner adds a queer twist to his dry martini remakes. Steven is proud to follow in the tradition of legendary LGBT jazz performers like Billie Strayhorn, Ma Rainey, Fred Hersch and Gary Burton. You may not know or care who those music legends are but Steven sure does a neat job of making jazz “swelligent”. "It is indeed a great pleasure to meet the musical artist. You have a winner in both your musical writing and performance. Your debut is quite impressive. You have a wonderful lyrical quality to your voice." "Steven Taetz’s… honest and pure vocals partnered with sensitive original phrasing put him in the league of the great jazz vocalists." "Steven Taetz represents a historic, yet innovatively modern approach to the jazz microphone. A needed voice in that crooning theme of bringing jazz to the forefront in these Renaissance times of jazz music. The zeal and authority he provides is full of patent realism very welcome on the musical landscape now and into the timelessness of his craft." "Steven Taetz has a pure expressive voice, a keen sense of timing, and an unerring judge of material. His new album Drink You In is engaging and interesting from beginning to end. The lyrics to the musical selections - at turns ironic, playful, and honest - aptly compliment his rich voice. Lovers of contemporary pop/jazz vocals need to hear this album." "Steven Taetz's album is fresh out this Fall, the perfect time for a cozy night in with your favourite drink paired with his exceptional vocal skills, top-notch musicians and the dynamic musical range of this must-have album. This perfect mix of all the right ingredients will make you feel warm inside in any season!" "Steven Taetz does more than carry a song; he puts his own elegant stamp on it. His album Drink You In is nuanced, witty, and confident." 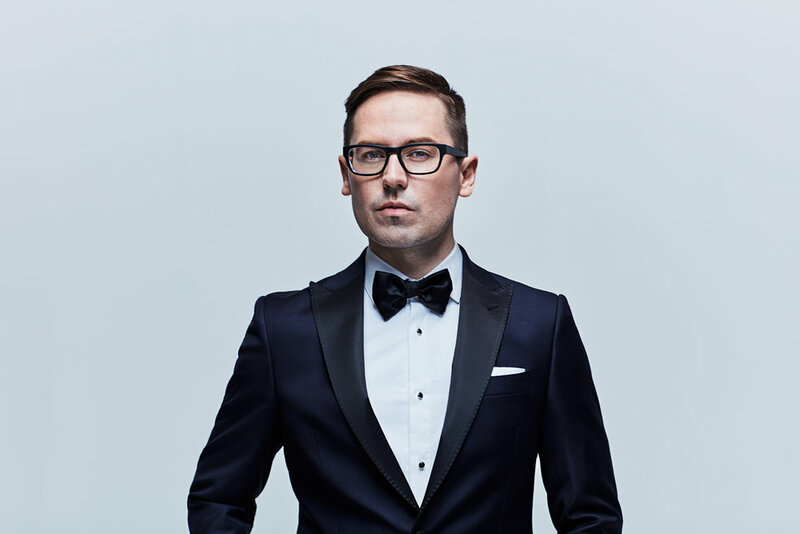 "Backed by a dynamite band of serious Canadian jazz musicians, Steven Taetz sings like an old pro, as though he belongs at The Sands with Frank. His new release Drink You In does just that; drinks you in with its exquisite phrasing and great arrangements of standards, both old classics you know and his own "new standard" originals. This is sterling -- buy it now!" "Steven Taetz Christmas EP is full of tasteful, honest, and enduring new songs and standards." "After writing pop hits for other artists, he has teamed up with other songwriters from across Canada for the northern song cycle that makes up his first solo album. What great songs! What a great debut!" "The album "Drink You In" by the young vocalist Steven Taetz is a pleasant and well-balanced project, in which technical professionalism is enriched by interpretative sensitivity. Beautiful vocal performances supported by the precious complicity of the band members, always with great professionalism and attentive to the musical requests of the leader." "Steven Taetz mixes vintage sounds with artsy modernism on this satisfying album. Taetz is able to sound both relaxed and swinging on Bohemian themes.... A dry martini of a singer that is shaken and not stirred." "Canadian vocalist Steven Taetz's light baritone is appealing; he has a natural swing feeling and pays careful attention to the lyrics. His original tunes, written with a variety of collaborators, are well-crafted and deserve lives beyond this album. Taetz has produced an appealing collection that combines classic pop with a contemporary edge." "This beautifully-produced release highlights the multiple talents of Steven Taetz by taking jazz vocal classics and reworking them in a style that is fresh and intoxicating. This formula is also adapted for his own compositions that blend right in and make this an entertaining and lush set of tunes. Most notable as his duets with vocalists Sonia Johnson and Tia Brazda. If you like a good dose of vintage pop/swing/jazz, this will guarantee you a good time. " "Steven Taetz is a new shot in the mix of major Canadian crooners / jazz vocalists.... a future man in the genre, and a name that we will be hearing in the coming decades. He has written several of the numbers on Drink You In, numbers that will knock on the door when new songs are to be entered into The Great American Songbook." © 2018 Steven Taetz | steventaetz.com New Album available Sept 28, 2018, pre-purchase Sept10. Distributed on Flatcar Records / Fontana North "Drink You In" was written by Barbra Lica and Steven Taetz. Live performance at Senator Winebar ( thesenator.com ) in Toronto on August 24, 2018.
the Government of Canada and Canada’s private radio broadcasters. le gouvernement du Canada et les radiodiffuseurs privés du Canada.